I have a new roomie! Unfortunately he's a Sox fan... but other than that I have no complaints. 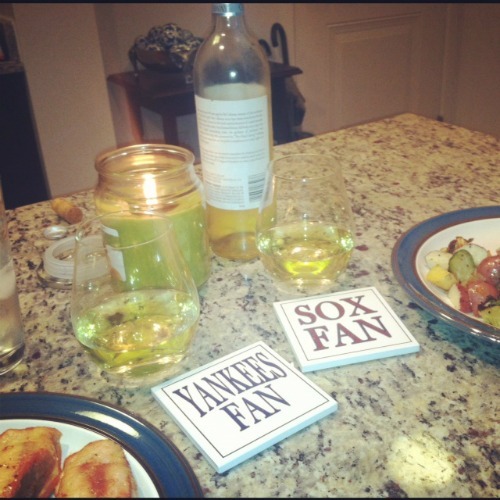 I bought these coasters at a gift shop in Chatham. I say it time and time again... I hate packing. Since I had a connecting flight on my way out there I did carry on because I have a fear of losing my luggage. I put one tote inside the other when boarding. My pink luggage really stood out on the gate check baggage cart. One of the tips I have learned is to stick with one color scheme when traveling. This helps with coordinating shoes and bags that can take up lots of room. I try to find dresses that can be transformed for business with a blazer or sweater (in hand above). Since I am short I can make these dresses at Forever 21 work. 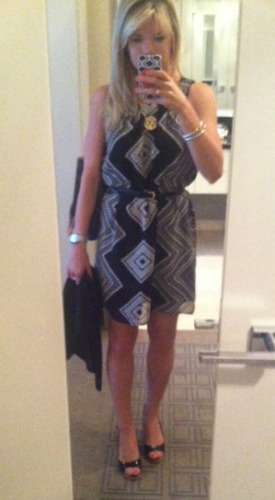 I found this shift and the houndstooth dress the day before my trip. I am definitely not always that lucky when last minute shopping. 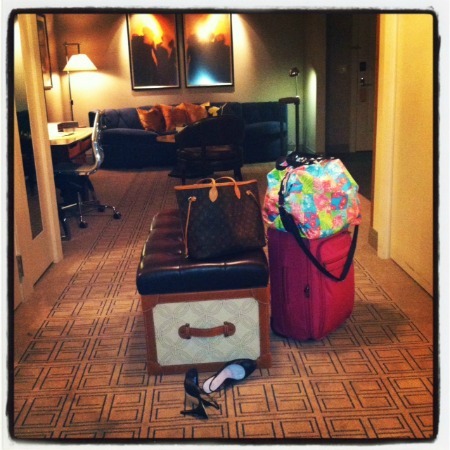 I was in Vegas last week too--so much fun! Packing one color...or 3 maximum to mix for traveling is always a plus. Stop by for Shopbop $100 giveaway! i heard vegas is such a fun weekend trip! 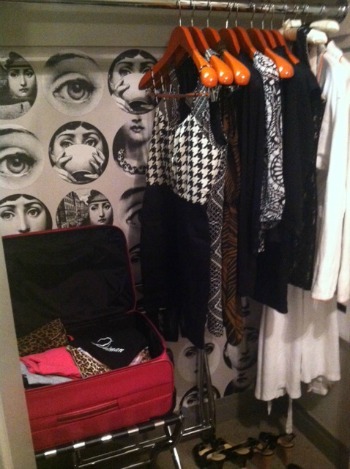 I hate packing as well...always last minute and always over packed! Great packing tips. I've never thought about the color thing. I will keep that in mind on my next trip!